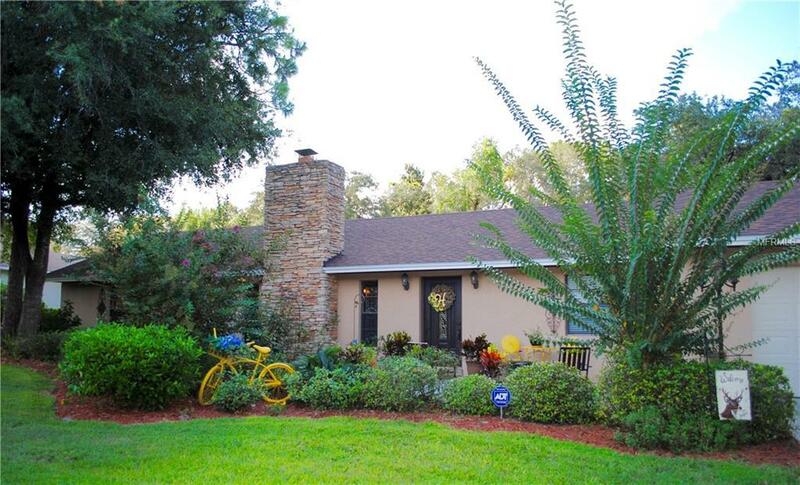 If you desire quiet country living, and the most sought after neighborhood in the Greater Haines City area to raise children, this home is for you! You can relax moving in, knowing that most of the big ticket items have been recently updated, such as new roof, new AC, new tile flooring, new beautifully designed family kitchen w/granite counter tops, stainless appliances, tons of cabinet space and a HUGE island bar (w/electric access), updated bathrooms, and more! This house features 3 baths & 3 large bedrooms, TWO of which are master suites, with master baths and walk in closets and the large office space could be your 4th bedroom. The kitchen, dining and great room w/stone fireplace is an amazing space for family gatherings. If you choose, you could expand your party space by opening the 4 panel glass pocket sliding doors to the screened 20 x 15 tiled porch. Beautiful views from kitchen, dining, and laundry out over your over-sized decked pool with gorgeous private landscaping, but still plenty of room on this .50 acre fenced lot for lush greenery, fruit trees and manicured landscaping. All maintained with a sprinkler system w/well.